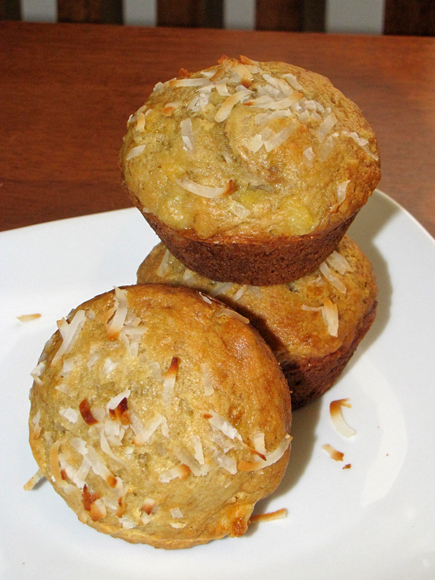 I've had the idea for some tropical-inspired muffins in my head for a bit and I finally wrote a recipe last week. 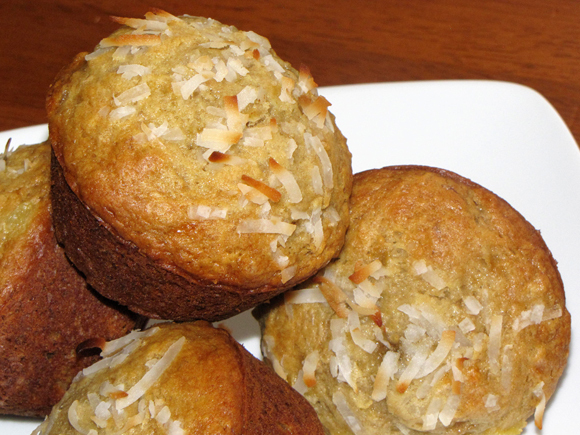 Two versions later, I had the best-tasting banana muffins with a hint of tropical flare. The final outcome of the muffins isn't really what I had in mind when I first started out, but the end result was so good that I quickly put aside that original idea. The first round of these tasty little bites had the flavor I was looking for but the texture was off. I used banana, pineapple and coconut as the main ingredients and each one of those notes stood out very well in the first batch. The flavor was really good and they definitely had that tropical taste, but the texture wasn't up to my expectations. I rewrote the recipe a bit to achieve a more cake-like texture and the flavor completely changed. 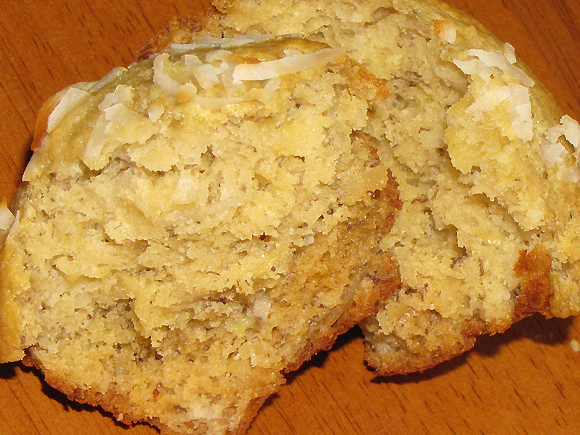 The banana was more prominent in the second batch while the pineapple and coconut were secondary elements. I honestly don't know why the flavor would change so much from just adding a bit more baking powder, but I think it was for the best. I made the muffins yesterday, had one for breakfast today, and oh boy was it awesome. It was so moist and full of flavor! I don't like super sweet muffins and the amount of sweetness that came out was perfect. These can probably be made without the pineapple and coconut, but if you're feeling adventurous you should give them a try this way. 2. Mash banana with a fork, leaving some chunky pieces. 3. Add egg, lemon juice, lime juice, oil, applesauce, honey and sugar to banana and mix. 4. Add pineapple and coconut and mix again. 5. In separate bowl, mix flour, baking powder, baking soda and salt together. 6. Add flour mixture to banana mixture and stir well. Don't over mix. 7. Spray a muffin tin with non-stick spray or line with paper liners. 8. Fill cups 3/4 full and sprinkle with a little coconut. 9. Bake for 25 minutes or until toothpick inserted comes out clean and edges are golden brown.